Listened to the game on the internet so I can't get a feel for the team yet. * This is how you handle a team that you are suppose to beat. Jump on them early and keep them down. * Ayo gets my COG for sparking the 1st half surge that put the game away. * I guess Kane isn't ready for CBB yet. Ayo is really good. Do you think Kane, Griffin and/or Higgs might be redshirt candidates? Higgs is a definite candidate to redshirt. 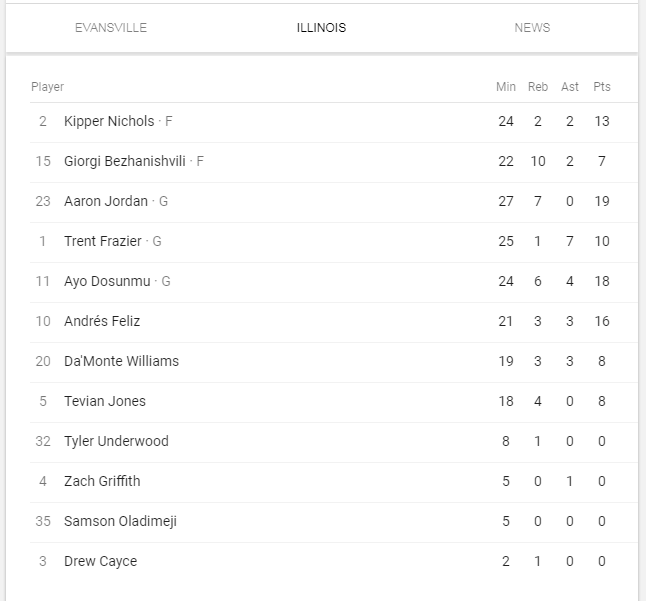 Kane broke team rules per Underwood and that's why he didn't play. And Griffin hasn't practiced in a few days cause of an injury, knee I believe. You can make a case for several players - Giorgi (rebounds), AJ (points/rebounds), Ayo (all around), Feliz (floor general). Gotta go with Ayo as well. I like that Georgi dude. He seems like a funny guy. Just hope he doesn’t end up being a full time prick on the court and keep collecting technical fouls the way he has twice now. But, the part about learning basketball from And1 Mixtapes and HotSauce is probably one of the best quotes I’ve ever seen in a post game presser. Williams is wearing a knee brace. That usually doesn’t happen on a repaired knee a year after the fact unless something is going wrong in there. I like Giorgi as well. Gives the team a Lucas Johnson type player that they've been missing for quite a while. He's that energetic spark, he just needs to learn to control it. IIRC Lucas was the same way.